Palmer Lake's real estate market includes an affordable selection of single family homes, turn-key homes and condominiums. Prices for homes in Palmer Lake average from $120,000 to $600,000 which is less than average for El Paso County. Beautiful Custom Ranch Home With Views! Modern Farmhouse With Main Level Living. 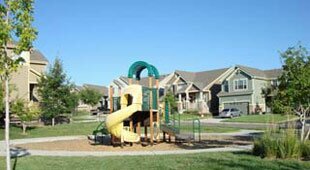 With a population of about 2,500, the community of Palmer Lake has a small-town atmosphere and is appreciated by residents who have easy access to big city activities in nearby Colorado Springs and Denver. A charming community located 25 miles north of Colorado Springs and situated along Palmer Lake, the town, founded in 1871 and incorporated in 1889, sits on the Palmer Divide at 7,200 feet. The elevation presents wonderful views of the Rocky Mountains. The housing selection in Palmer Lake includes single-family homes, condominiums and land for custom building. Part of the Tri-Lakes region, which includes Lake Woodmoor, Monument Lake and Palmer Lake, area residents have access to excellent trails and crystal clear water for fishing and swimming. As a result, plenty of outdoor activities abound in the Palmer Lake area, especially with the 15-mile Santa Fe Regional Trail adjacent to the lake. The Trail is used for biking, hiking, and horseback riding in the summer, spring and fall, and for cross-country skiing and snowshoeing in the winter. Downtown Palmer Lake is filled with locally owned shops and eateries where one can find everything from antiques to homemade comfort food, in addition to the historical museum which offers educational lectures on the area's history. Lewis-Palmer School District #38 serves the educational needs of the town's children with an elementary school in town and the middle and high schools in nearby Monument.